Our members are based all over the tri state area from Brooklyn to Connecticut and Manhattan to New Jersey, we're everywhere and growing by the week. 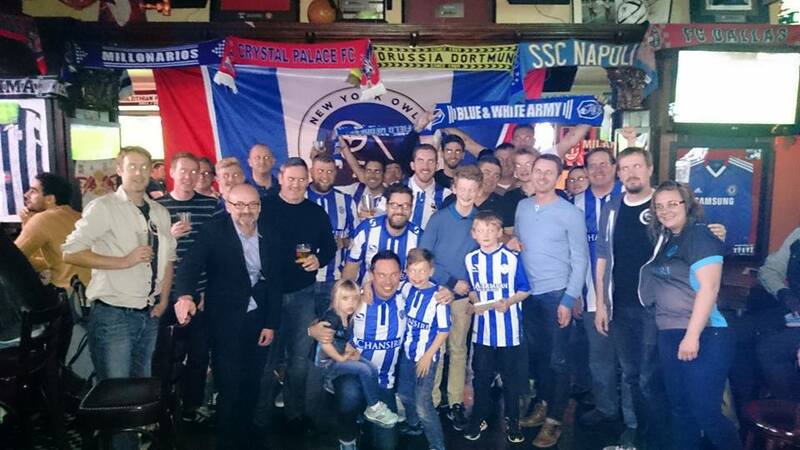 If you're a SWFC fan that lives in the tri-state area and want be part of our Supporters Group get in contact via mail / facebook / twitter and we'll let you know of all our meet ups. We are proud to be an affiliate member of Wednesdayite. If you too want to join Wednesdayite as a New York Owl, 2.50 of your membership fee goes towards our supporter group and will help us fund our flag. More information on the benefits of membership to Wednesdayite can be found on Wednesdayites website below.